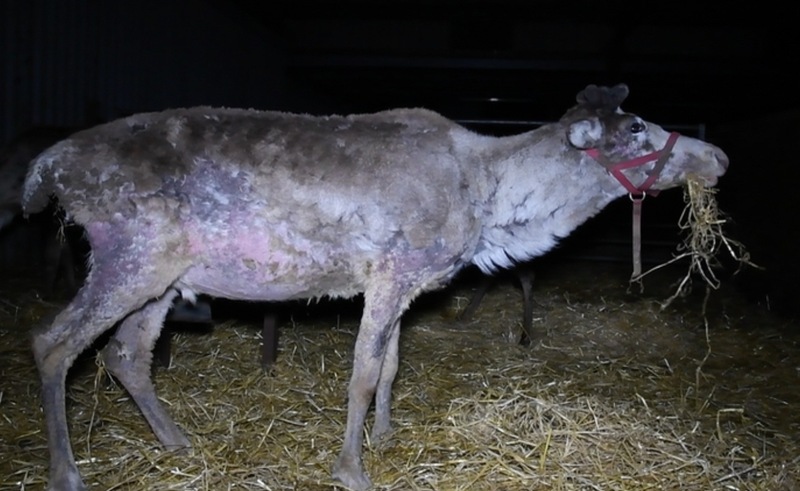 An investigation by a vegan leading animal protection agency has revealed what it calls the 'shocking suffering' of captive reindeer in three centers in the UK. According to Animal Aid, it filmed a worker kicking a reindeer on two different occasions as well as shouting abuse, at Kent Reindeer Centre. Several reindeer at Cheshire Reindeer Lodge had visible ribs - and their outdoor access appeared to consist of 'just a barren yard'. Reindeer have an innate desire to roam - but on captive reindeer farms, they are only afforded a small fraction of the space they need. Reindeer - which are often imported from Sweden, Finland, and Norway - are used in festive grotto events, and reindeer parades - and sadly some are dying prematurely. Animal Aid believes that some cases could be linked to exposure to diseases from British farmed animals. They are often subjected to an extensive travel regime, being transported up and down the country for such events. Government figures revealed via a Freedom of Information request have revealed that reindeer kept in the UK perish from a range of generalized issues including parasitic, gastric and digestive issues, malnutrition, wasting and nervous conditions. Stephen Swinnerton, owner of Blithbury Reindeer Lodge told Metro UK that all animals on his facility are 'happy and healthy'. "The video was footage was taken without our knowledge and if the person concerned had addressed their issues to us at the time, in person, we would have been in a position to alleviate their concerns there and then," he added. "The reindeer in question was a retired animal named Forest who I had raised from a calf and who had reached the ripe old age of 17 (very elderly by reindeer standards who barely live beyond 10 years on the tundra). 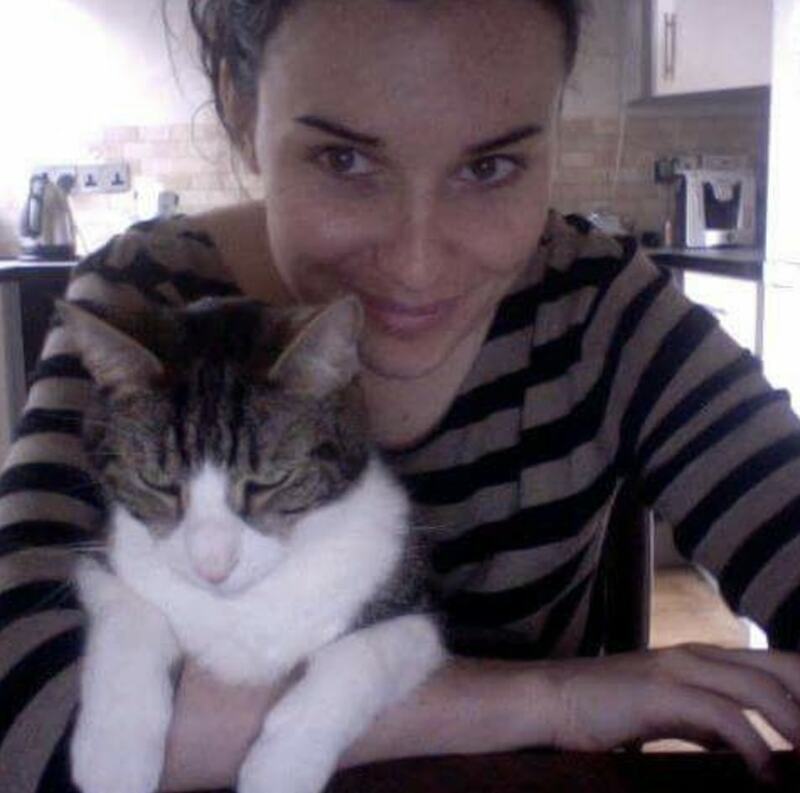 Due to the complaints we had no choice but to have him euthanized, which caused me and my staff much distress." "Our investigations have revealed the shocking suffering of these gentle animals," Animal Aid Campaign Manager, Tor Bailey, said in a statement sent to Plant Based News. Plant Based News has contacted Kent Reindeer Centre and Cheshire Reindeer Lodge for comment.